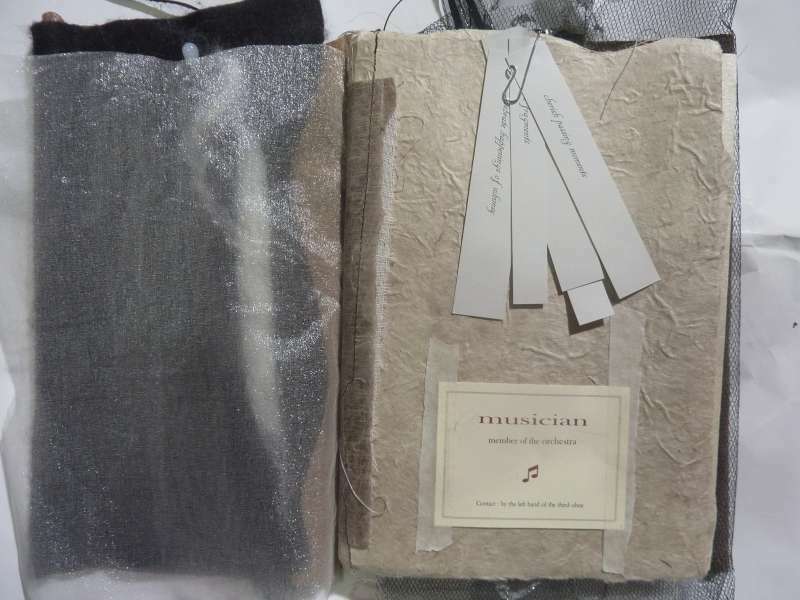 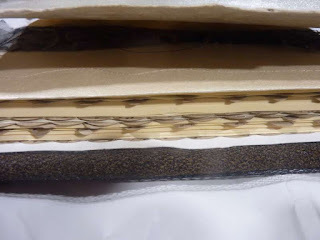 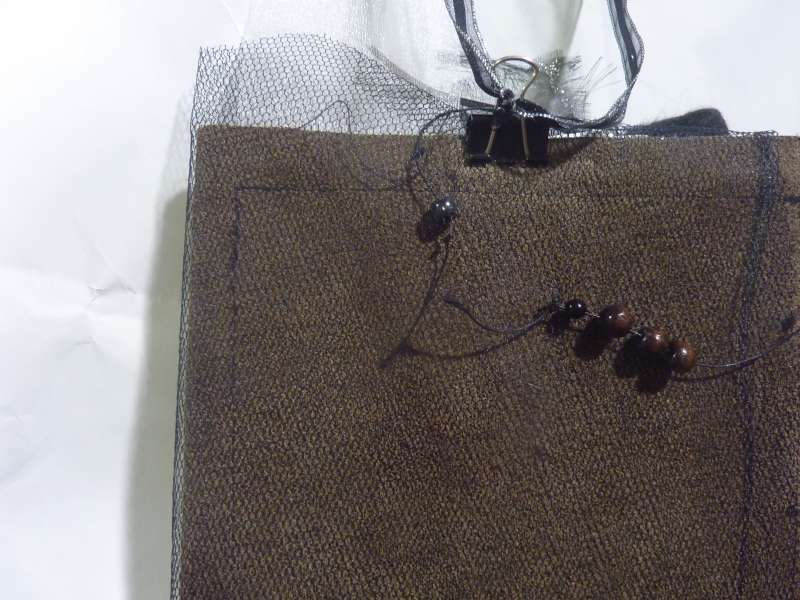 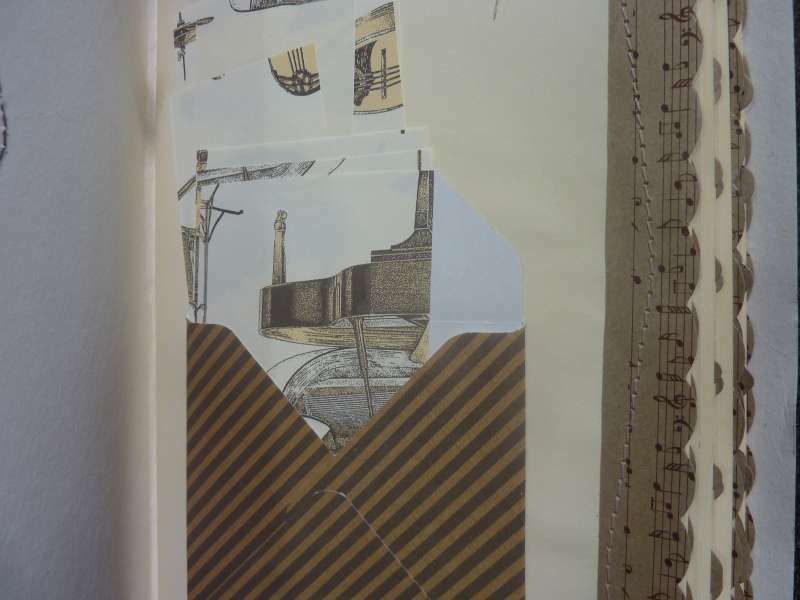 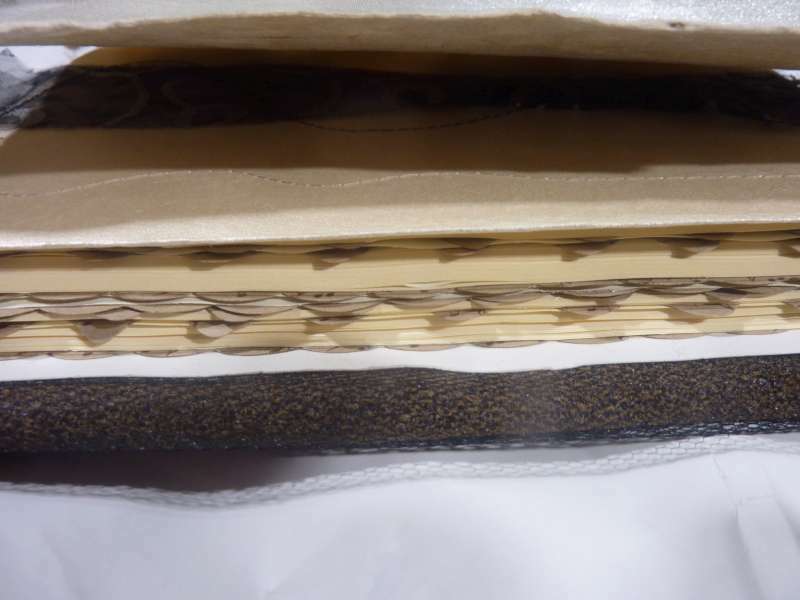 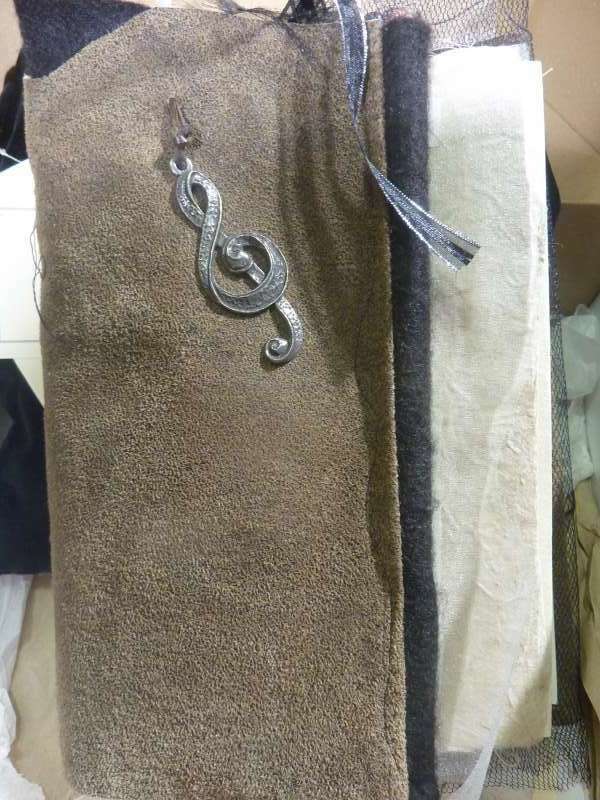 A5 sized book; plain cream paper with stitched edging to act as index marking; felt fabric for stitching small items; envelopes for storage of cards and ephemera. 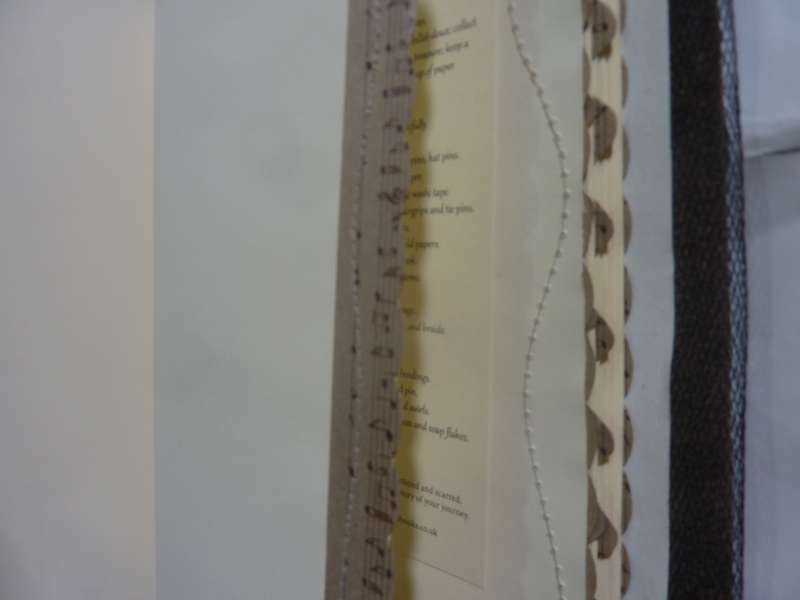 The back of the book with bulldog clip acts as a clipboard for purposeful notemaking. 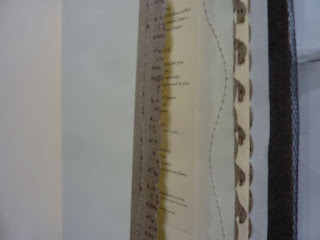 Practical, whimsical, fun, unique!